n a bluff above the Ely River is a D-shaped court which is surrounded by a 13th-century curtain wall 2m thick. The moat on the east and north sides has been filled in, the parapets are rebuilt, and the only medieval feature is a narrow pointed postern doorway on the SW which was reopened in 1947 after being blocked for centuries. Peter le Sore raised a ringwork here after dispossessing the Welsh lord Meurig ap Hywell in 1091. 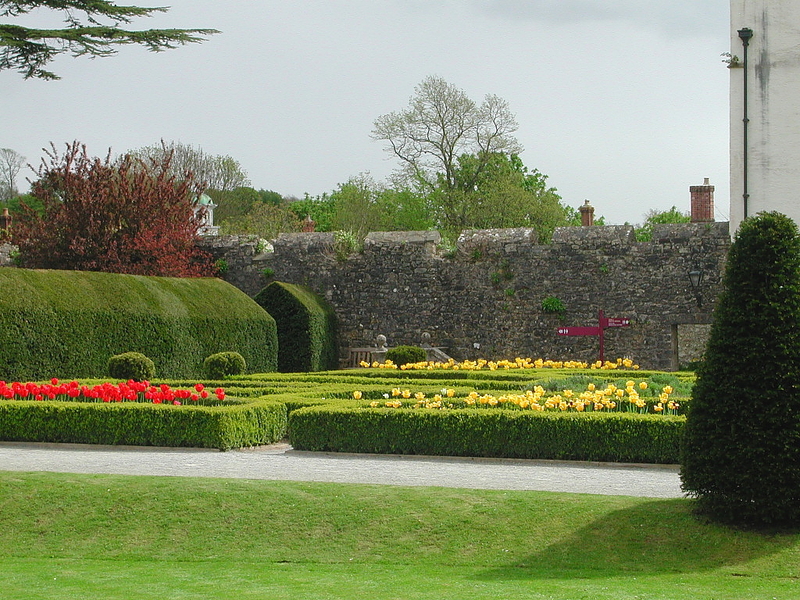 In the early 14th century the castle passed to the le Vele family by marriage, and in 1475 it passed to David Mathew when he married Alice le Vele. The descendants of their daughters sold the castle to Dr John Gibbon in c1560, who built a fine mansion in the court (right). 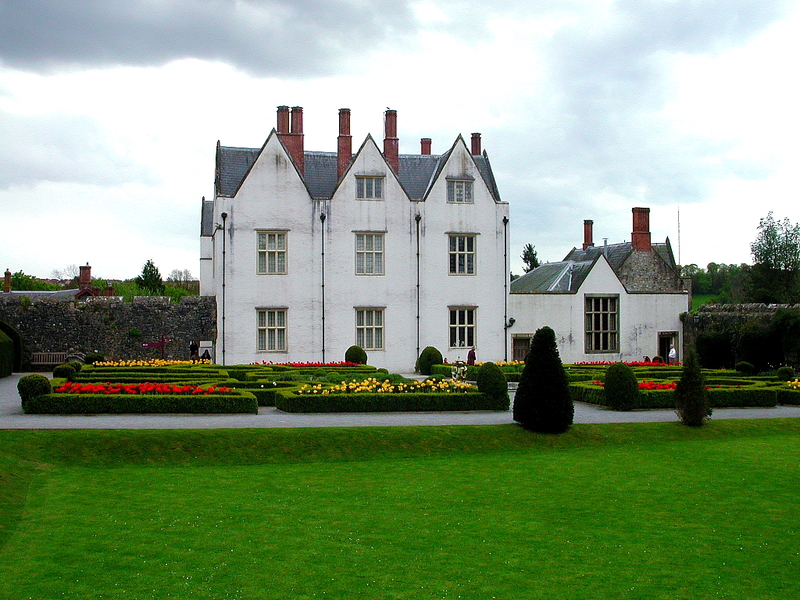 Either he or Sir Nicholas Herbert of Cogan Pill who purchased the castle in 1584, laid out the outer court to the north. 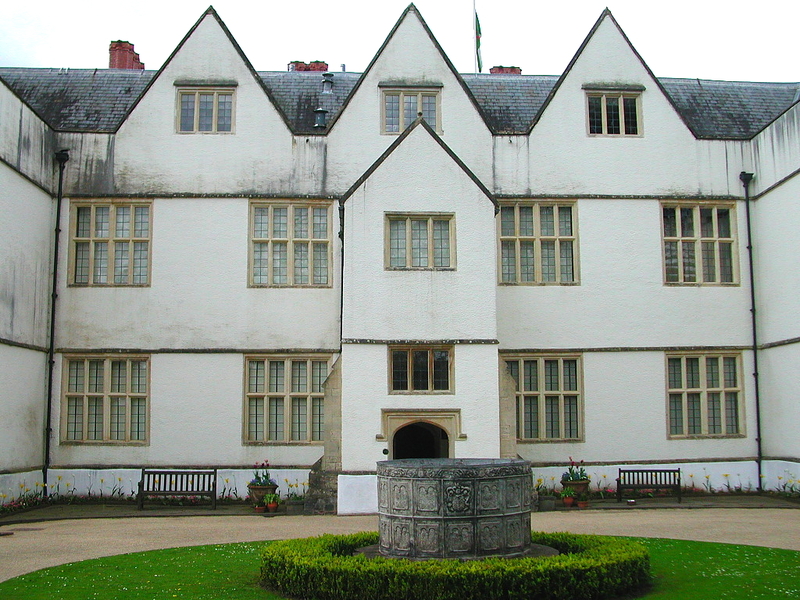 The castle was sold again in 1616 to Sir Edward Lewis of The Van, near Caerphilly, and became the chief Lewis residence. In 1730 the Windsor 3rd earl of Plymouth married the heiress of Elizabeth Lewis. Some decorative work was undertaken in the 1760s but by 1815 the building was neglected and used only by a farmer. 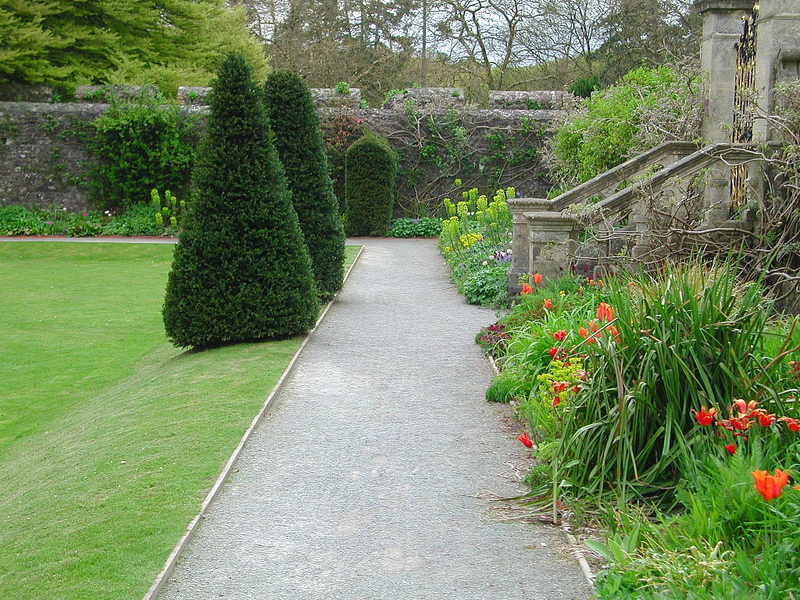 It was restored in the 1850s, and in 1946 was presented to the National Museum of Wales, the grounds being opened as the Welsh Folk Museum in 1948. Below: the entrance to the post-medieval St Fagan's Castle.